Is it wrong to say that the reason this grabs my attention the most is that the title is Z and few book titles start with Z? It sounds like a fascinating story too. Not at all! Any reason is a good reason in my mind. We all pick up books for our own odd and often illogical-to-others reasons, after all. This sounds really fascinating! 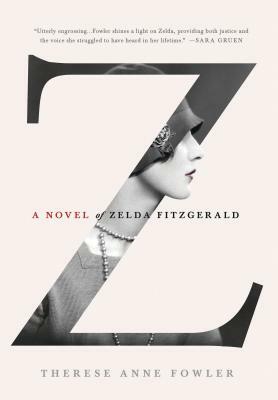 I plan on reading a Zelda Fitzgerald biography later this year, and this would be a fabulous follow-up read! Definitely! There's another Zelda novel, Call Me Zelda, coming out in May that I just finished as well - the two are very different but definitely bound to be interesting to anyone with even a passing interest in the Fitzgeralds. The third review I've read this morning on this book! sounds fascinating. Don't you love when book reviews line up like that? It's like it's meant to be! I've decided that I pretty much seem to like everything that you've liked on goodreads...so I'm just going to, um, stalk you a litte bit. At least your reading. wow, that was creepier than I meant it to be. I hope you like it! And it's not creepy at all. I just popped over to your blog and you're right, it does look like we have VERY similar tastes in reading... so consider the stalking returned!